Earlier, the sealed packets were broken in the office of the institution's headmaster and papers sorted accordingly before distribution among the students. 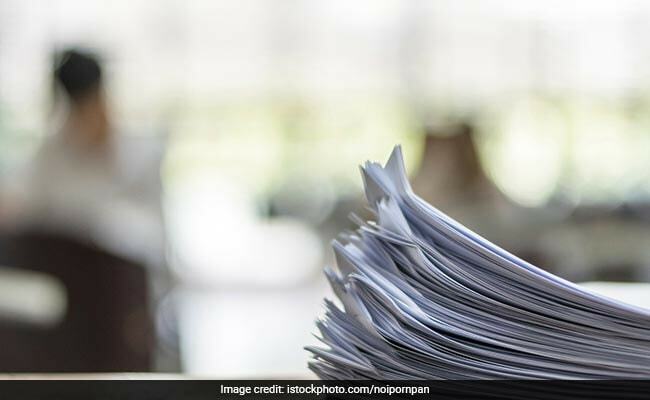 In a departure from the norm, the West Bengal Board of Secondary Education (WBBSE) on Tuesday announced that question paper packets will henceforth be opened in front of Class 10 candidates, shortly before the commencement of the examination. Earlier, the sealed packets were broken in the office of the institution's headmaster and papers sorted accordingly before distribution among the students. "From 2019, the sealed question packets of Madhyamik examination (Class 10 board exam) will be opened by invigilators in front of students in the examination hall and distributed accordingly," Board president Kalyanmoy Ganguly said. Sources said the WBBSE decision came in the wake of reports that the headmaster of a Jalpaiguri school, during the 2018 secondary examination, opened sealed question papers 35 minutes before the scheduled time. The headmaster was suspended by the Board after he failed to give a satisfactory reply to a showcause notice issued to him. There were also reports of question paper leak on WhatsApp in 2017, but the board, back then, asserted that the paper circulated was "fake". Mr Ganguly said the WBBSE members, along with officer in-charge of local police station and a district administration official, will hold meetings with the head of examination centres to ensure that the measures were implemented without glitches. "This time, the number of question papers in the packets will tally with the number of examinees in the hall. There will be no sorting beforehand," he said. The new measure was aimed at ensuring that exams were conducted in a transparent manner, Mr Ganguly added.